Usually I am the girl who’s organised especially when it comes to clothing I’d have my outfits planned weeks in advance with matching accessories. Well suddenly this year I’m far from organised. I’ve had a little bit of a poopy year and I think its had a knock on effect in how I run my life. By ‘run’ I mean how organised I was, how well I took care of myself etc. Well right now I am scrolling endless pages of ASOS and Topshop hoping to find a beautiful dress in my size. As the last three hours have proved don’t leave it last minute. So I decided to help you guys out incase anyone is being as unorganised as I am! 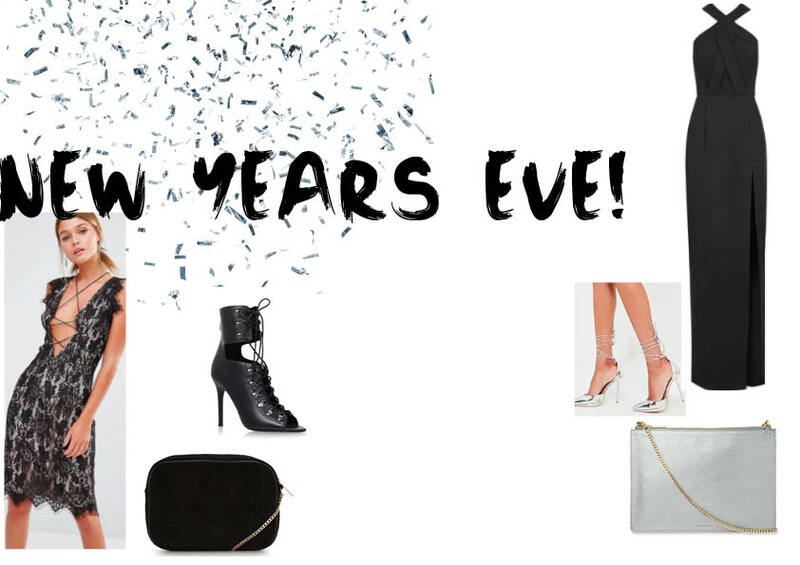 I’ve put together a little ‘dress to impress’ guide on some new years inspiration for what to wear!